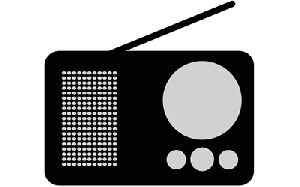 The Voice has been broadcasts across North Devon on 106.1 and 107.8 FM. 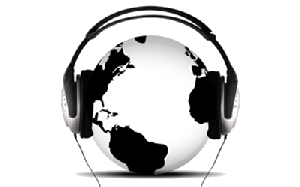 You can listen to The Voice wherever you are in the world! Just go to our website and click the Listen Live link at the top of any page. You can download the RadioPlayer app from your App Store and search for us in there. 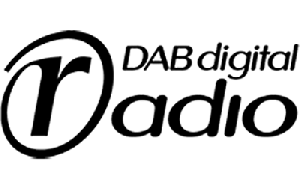 Enter the world of Digital Audio Broadcasting or DAB radio! So, WHAT IS DAB? 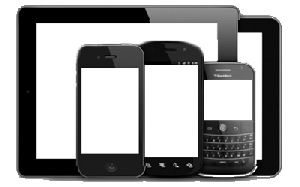 Without getting technical it simply means - More choice and more information! In practice, it is far simpler than your normal FM/AM radio! No dial just a big button to scan with and a lovely big screen packed with information about the station you're listening to, including the presenter, website info and often the playlist! How does it work and how do I find The Voice? You remember when you got your new digital TV or freeview box? Before you could use it, you scanned for channels in your local area. Then to watch "BBC3" you just clicked the channel up button or chose from a list of TV channels... DAB is exactly the same! You get it out of the box, perform a scan and hey presto! All the stations you can receive are stored! Then all you have to do to listen is flick through the list and choose the one you want! (The Voice obviously)! So If I buy a DAB radio is it just The Voice I can hear? No, there is a vast array of radio stations to listen to. All the BBC stations are there, including the ones you would normally find on freeview like BBC 6 music or on AM like BBC world service. There are also lots of independent stations like "Planet Rock, Absolute Radio, Classic FM, Talk Sport and many many more. Whatever music or radio you're into DAB will have it! Can I listen in the car? Yes! Most modern cars are equipped with DAB radios, just look for the DAB digital radio logos! You will be able to listen to The Voice across most of Devon and Somerset. You can also listen to The Voice on FM across most of North Devon. I don't have a DAB radio, do I have to replace my old stereo to listen? No! There are many "add on" DAB radios that are as small as a sat nav unit that just mounts onto the dash or windscreen without tools or wires! It sends a signal to your current stereo (like when you listen to your mp3 player) and you just tune in like a normal station. The most popular (and the one favoured my most of the team here at The Voice) is the PURE highway. On your website it says "listen here" how does that work then? When you click the listen here link a small radio player will open. It will run in the background and won't interrupt your browsing etc. It has all the controls your normal radio will have plus lots of ways to talk to the presenter live in the studio. Can I listen on my smart phone? Yes! You can download the RadioPlayer app from your device's App Store. It's free! Once you have it, just type The Voice into the search bar and there you go. Don't forget to add us to your favourites though!